To prevent fatal drug-drug interactions, a clinician who suspects illicit drug use should rule out their presence before prescribing pain medications, as well as other commonly known CYP450 inhibitors or inducers. Fatal drug interactions between opioids and benzodiazepines, alcohol, and other sedative-hypnotic drugs have been well publicized and studied. Less publicized, however, are serious and potentially fatal drug interaction between pain medications and illicit drugs, including the ever-growing number of novel street drugs. In fact, the specific pharmacologic interactions between prescription medications commonly prescribed for pain and habitually abused illicit drugs have not been studied extensively. When a person dies from a drug overdose, medical examiners frequently look at results from a standard detectable prescription drug(s) panel and a standard illicit substance of abuse panel. This latter panel includes commonly abused chemicals that are predetermined by specific manufacturers’ test kits. Closer scrutiny, however, could help clarify a patient’s opioid tolerance level by reviewing prescription drug history—a simple task that, in the authors’ experience, generally is not considered. But… (click HERE for the complete story or contact Dr. Fudin, jeff@paindr.com, for PDF version). My wife has been dealing with a lot of pain because of her sciatica and she is prescribed with some pain relievers, but the doctor urges my wife to undergo surgery asap. My wife told me that surgery is not an option that she wants. I just want to know about your opinions and suggestions about her condition. Does alternative treatments like acupuncture really work? Thanks doctor. I would really appreciate your help. Many non-traditional therapies alone or combined together and/or with medication, diet, exercise, and an active lifestyle could be beneficial. I have seen patients do extremely well with acupuncture. Have seen some patients with no benefit, and some in between. The truth is, I’ve seen the same with medication and surgery. Acupuncture is relatively noninvasive and has little to no risks. Surgery certainly has inherent risks that could make the problem worse. In general, I recommend any non-traditional therapies your wife is willing to try as long as her physician is aware of it and there are minimal risks involved. As a chronic pain patient I am glad to see articles like this one. Too often patients are under educated or not told at all about these very dangerous “designer” street drugs and the way they interact with various medications. Personally I believe that chronic pain patients and people in general need to stay as far away from this garbage (designer street drugs) as possible, and that any patients taking medications for a legitimate ailment that are doing these sort of drugs – have a drug problem and need to seek help, but I am glad that the information is getting out there . . . . even if it saves just one life it will be worth it. As a chronic pain patient who must take medication for the rest of my life I am glad that Doctors’ Fudin and Murphy have taken the time to write about this. While we may not be able to stop the flow of illicit drugs in this country, at least by educating people we can reduce the number of deaths associated and or caused by (pain) medications and illicit drugs. Thank you for your informative article Dr. Fudin and your equally informative response Dr. Murphy. I have read this article twice and while I agree there is a serious drug problem in this country. I am tired of being profiled because I need pain medication! I do not abuse them nor do I sell them, I NEED them! I have many people in support groups for pancreatitis say they can no longer get the medication they need because of the FDA strong arming and over riding our Dr’s.The Dr’s are afraid to give you what you really need, they are in fear of losing their license to practice medicine, so these very ill people suffer relentless pain because we are all profiled and the Dr’s are afraid to practice and trust their own thoughts on the patients needing the medication because of people who abuse the system. I am not sure what the answer is but the way it is being handled is clearly not the answer. The article is well written although I could not see the charts (no enlargement option) very well. I am also a big supporter of medical marijuana, I have seen it do miraculous things! I do agree the spice, heroine, etc need to go, these street drugs are ruining our society as well as making it almost impossible to get good care these days. I am the president of a national non profit for chronic pancreatitis and I will fight for my fellow patients to be treated with repect and dignity and to get he care they truly need for which the care is almost at an incompetent level! Thank you for this educational article. I am a chronic pain sufferer (I can no longer call myself chronic pain patient as I have been unceremoniously divorced from the pain relievers which kept me functioning, at least somewhat). I have been treated like a criminal though I did nothing wrong. Anyway, I feel I need to bring up something that may not be taken in account regarding people using, shall we say, “alternatives,” to prescription pain medication. Some people may be trying to self treat when they have been shut out of their only means of function and pain control. That should be a real concern to anyone who has a dog in this fight. Politicians have told you, the doctors, that they will be performing your job for you, in that they will make health decisions on behalf of your patients, that only the doctor should be making. As for some of this stuff, like the krokodil, I’ve seen in videos the startling effects of that drug, and it is extremely alarming. Those people look like real-life zombies. I appreciate anyone who is helping to get the word out on these serious issues. Thanks again. Yet another excellent article, so much so I forwarded it to my own doctor. As Dr. Murphy stated ” Drug interactions can kill.” As a Chronic Pain patient and advocate I am going to make sure that each member of my groups read this and educate themselves as well as others. If each would print this out and show it to their Doctor, Pharmacists, family and friends then maybe more people can and would be educated on this subject. I know I have learned from it. I will share it with my groups in hopes that not only will they read it, that they will comment as well. Thank you again for all the work you do and Thank you Dr, Murphy for helping Pain Patients in Kentucky. Which may include deadly contaminants they don’t even know they are taking. The illicit drug interactions article by Dr. Atkinson and Dr. Fudin is an outstanding reference for any prescriber and should scare the daylights out of any patient contemplating mixing illicit drugs with their prescriptions. But to be honest, I don’t expect many patients to read the article. So what’s a prescriber to do? We are dealing with a problem of epidemic proportions. Our action must be powerful. Performing highly complex (and $$$$$) urine drug screens feels like a nice preventative course of action. But let’s face it; drug screens are only a snapshot in time. What our patients do with their thirty days (or more) of pills is anyone’s guess. In truth, the responsibility to avoid illicit drug interactions lies squarely in the hands of the drug abusers. A prescriber’s responsibility is to educate, establish boundaries, monitor, and react appropriately. Knowledge is power, and education is the key to knowledge. The illicit drug interactions article educated me. If you are reading this blog, my guess is that you care about this problem. You can be part of the solution. One way is to help in establishing the Basic Pain Care Certification, an educational program that will include illicit drug interactions, along with pain prevention, treatments, and life-saving measures. I invite you to learn more at http://jamespmurphymd.com. And email your thoughts to: basicpaincare@gmail.com. As you know, I am a US Pain Ambassador, while no longer affiliated with the Opposition to Kentucky HB 1-Reform HB 217 aka “Pill Mill Bill” page, I do still support their efforts in educating the public about the dangers of drug abuse while maintaining the rights for chronic pain patients to receiving adequate treatment for their conditions. The more people patients aware of the problems of mixing various medications with illicit street drugs or certain types of products available in smoke shops and whole food or health food/supplement stores and even on internet sites, the better our chances are of educating people of the dangers they are most likely totally unaware of, and could possibly cost them their lives. 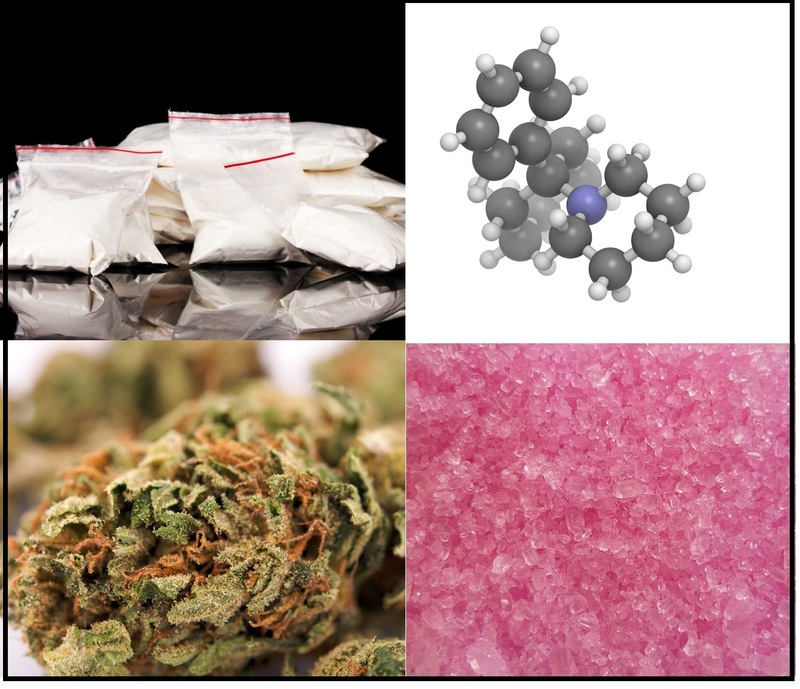 I learned that there are a great many of these obscure (at least to me) substances I have never heard of and I am sure medical providers must feel the same way. I agree the education is KEY and essential in this matter. I would love to assist you in any way possible, but currently my methods with which to do this have been greatly depleted. I can promote the articles and your blog to the US Pain Foundation as a way of getting this information to people who are eager to educate the pain community as one method of assisting the efforts we are all working toward. Thank you for all of your assistance in helping pain patients in Indiana and Kentucky. It is truly refreshing to see a medical provider who genuinely enjoys his job, especially when the patient leaves the office KNOWING they were treated as a real person, with individuality who suffers from legitimate problems, instead of so many cattle that must be herded out the door. You are a breath of fresh air to those of us used to being treated as if we are criminals who committed the crime of being in pain. Drs’ Murphy and to Fudin, While pondering my place in the war on pain patients, it occurred to me that I could far better serve the community in my former role with “Opposition to Kentucky HB 1-Reform HB 217 aka “Pill Mill Bill” page and work behind the scenes as an as advocate to spread the word about these dangerous drugs. We are doing our best to serve the community and while I do think pain patients often are looped in with illicit drug users, it is of utmost importance that we keep the general public, pain patients and all, informed of the dangers these drugs pose. So forgive me for any confusion I may have caused with my above reply as I have decided to remain a faithful servant to Sheila Kim Purcell’s outstanding efforts in the pain community as a loyal member of the Kentucky Pain Care Action Network. I was amazed at the number of drugs covered in your long version of this article. I found it to be extremely interesting and informative. That being said, the obvious thing that jumps out at me is the number of people incorrectly pronounced as having died from prescription drug overdoses, when in reality, there’s a decent chance many of these other drugs were, at least in part, not even considered as possibly contributing to the overdose. Chronic pain patients are chronically tormented by the results of the numbers of drug overdoses caused by prescription drugs. To think that not only were there quite possible contributing factors that were never considered, but the extreme to which lawmakers have gone to PUNISH us all for what may not have been remotely tied to our plight. They don’t even have a method to test for many of these exotic drugs, so they test for the most common ones, which means what? The most common ones are the only ones that will show up, of course. You can’t find something you’re not looking for. Another example of the huge mistakes made when lawmakers became our doctors.